All the extra stuff on the map screen in Super Mario Bros. 3 was pretty fascinating. There were mini-games, Hammer Bros. that walked around, airships that flew, hands that could grab you as you crossed a bridge, and treasure ships that occasionally appeared. 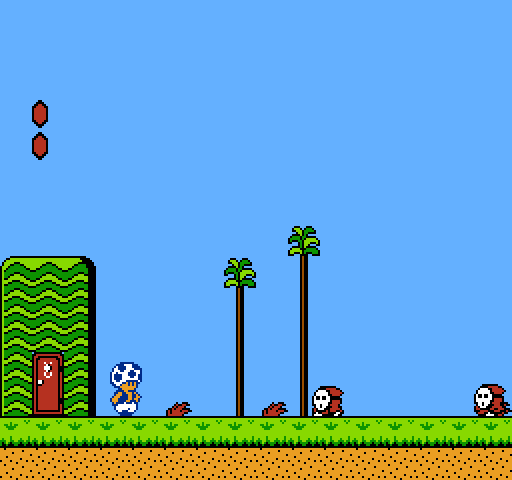 It was also the origin of Toad’s Houses, which were scattered throughout the game (except in the last world) and provided items for Mario and Luigi. There were even a few secret houses that only appeared if you did specific actions. In most of them, however, you’d go in and have a choice of three boxes. The items for each house were always the same, but I believe the order was randomized. 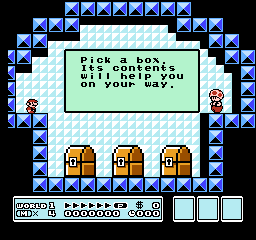 On the other side of the house stood Toad, in his vest with no shirt, telling you to pick a box. 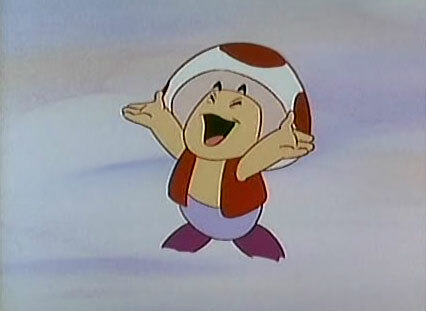 I initially thought you couldn’t get up to where Toad was, but you actually can, and even shoot fireballs at him. They don’t harm him, and at least in the original they turn green for some reason. The question I have is whether these are all the same Toad, or there are different ones. I’ve written about how I don’t believe the species as a whole were called Toads until some time later; they were just Mushroom People. 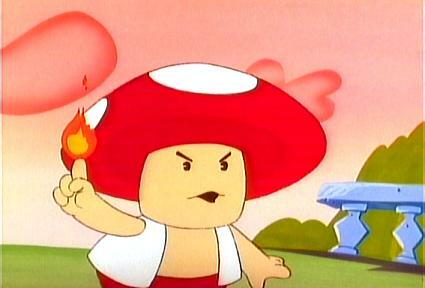 I at least thought of Toad as one specific Mushroom Person, a retainer to Princess Toadstool (as we called her back then) who was playable in SMB2. 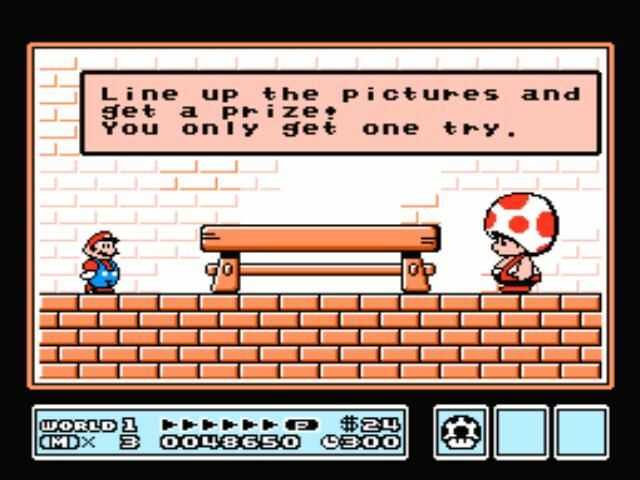 What’s kind of weird about that is that the playable Toad in that game has blue spots on his cap, while the one(s) in SMB3 had red. 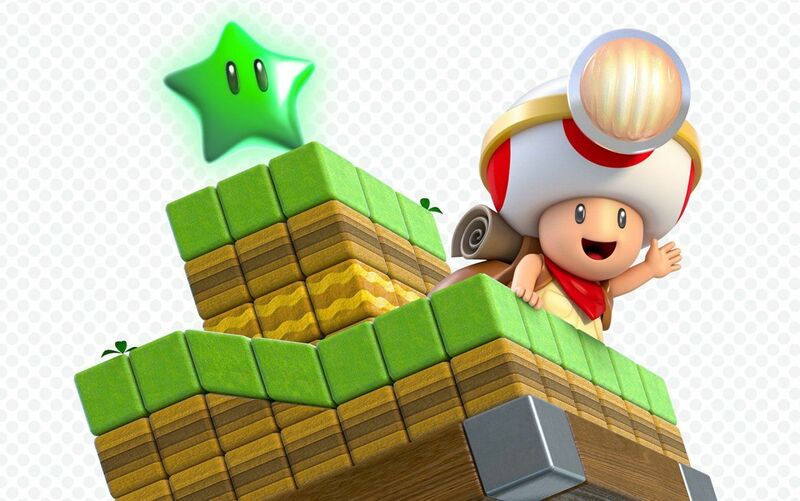 In artwork and tie-in materials, however, the SMB2 Toad had red spots as well, at least most of the time. 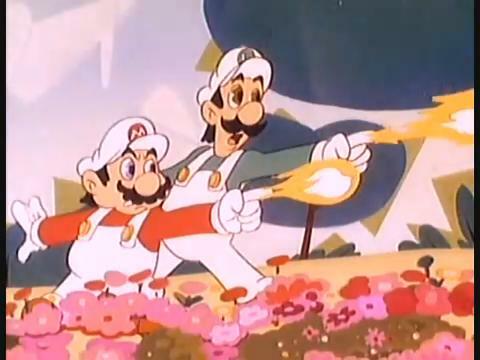 In the first few Super Mario Bros. Super Show cartoons, he had a red cap with white spots, but it was soon changed to a white cap with red spots and it remained that way throughout. That is, except when he was powered up, when he went back to the inverse color scheme. It was confusing that, in the cartoons, both Fire Flowers and Starmen, as well as some episode-specific items, simply made the characters super, in which form they had super strength and could shoot fireballs. The later cartoons kept the items’ effects more consistent with the games. But anyway, I also found it interesting that Luigi’s super form had basically his regular color scheme from the original SMB, which would be the case in Super Mario World as well. 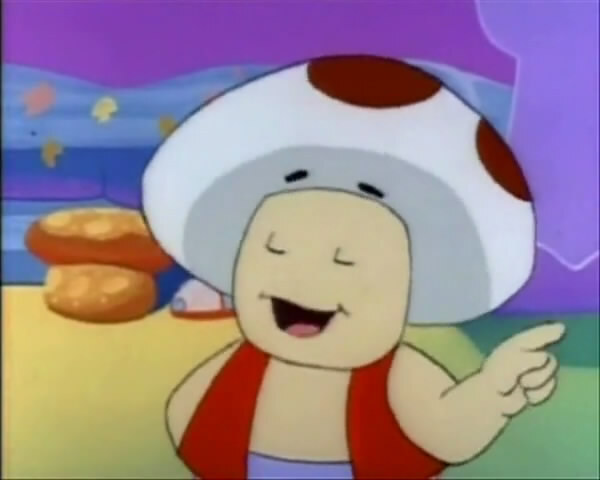 But back to Toad, presumably because he was playable in SMB2, he was a regular companion to Mario, Luigi, and the Princess in both the Super Show and SMB3 cartoons. There were a few episodes without him, but not all that many. 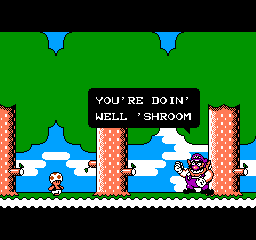 His character was pretty strong (presumably based on his ability to pull up vegetables and coins really quickly in SMB2), but also kind of whiny, and always wanted to play a more significant role. Wouldn’t he have been disappointed to find out he wasn’t in SMW (the game or the cartoon) at all? 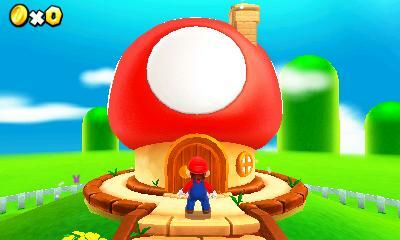 So, yeah, I figured THE Toad had all these houses, presumably because he was a real estate investor or something. He also somehow always managed to get there before you, and he’d only give you one item when he had three in the building. I’d say he was saving them for other heroes, except if one player accesses a house, the other can’t after that. I’m sure this was quite frustrating in two-player games. Maybe it’s sort of like how, in other games, merchants will still insist on payment for items even when you’ve saved their town. Toad is kind of like that himself towards the end of Super Mario RPG, although by that point you’d probably stocked up on coins from the unlimited block in Bowser’s Keep. 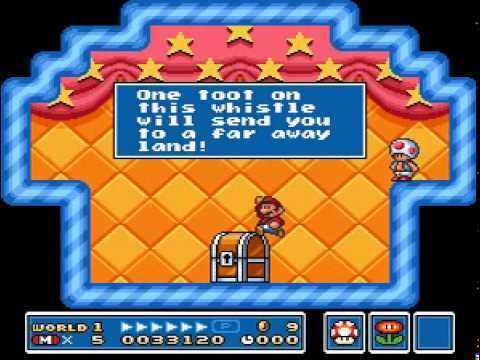 Once all the Mushroom People are called Toads, it means looking back on SMB3 suggests that there might be several different ones in the different houses. When the houses reappeared in New Super Mario Bros., they were operated by Toadsworth, and he’s apparently the same every time. Super Mario 3D World, on the other hand, has differently colored Toads in different houses, and presumably none of them are THE Toad, who’s playable. And he once again has blue spots like in SMB2, but doesn’t seem to be the same as the Blue Toad in New Super Mario Bros. Wii and U.
Toad Houses show up in the first Paper Mario as well, where they function like inns in most role-playing games. 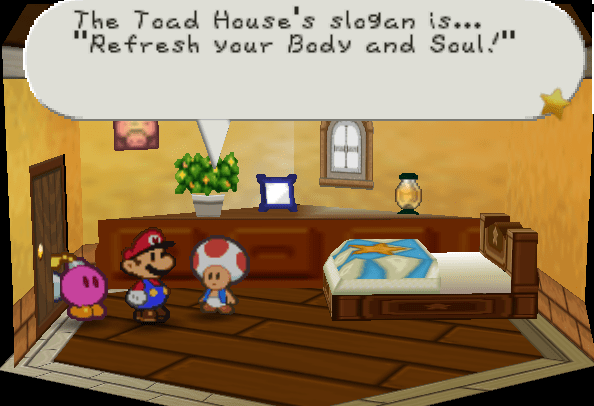 Toad as an individual is also playable in Wario’s Woods. In fact, I think he’s the ONLY playable character in that game. Then there’s Captain Toad, who was introduced in Super Mario Galaxy, playable in parts of Super Mario 3D World, and the main protagonist in Captain Toad: Treasure Tracker. I believe many people originally assumed that Captain Toad was the same as the original Toad, but they’re clearly different in SM3DW. 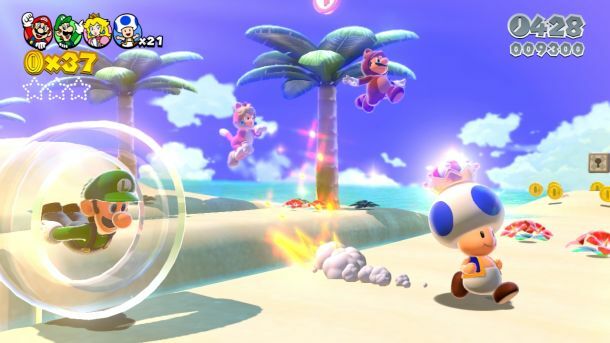 In his own game, he rescues Toadette, who is referred to as Toad’s sister in some sources and his girlfriend in others. So you’d think it would be Toad who would rescue Toadette, but this isn’t the case. Also, the Captain can’t jump, while the original Toad can, even if he’s not as good at it as his teammates. His Toad Brigade includes both Blue and Yellow Toads who are likely not the same as the ones in the NSMB games. You know, it would help if Nintendo would just give at least some of these characters names. Well, it’s been said that the developers of the NSMB games named the Blue and Yellow Toads Bucken-Berry and Ala-Gold, respectively, but this isn’t official. 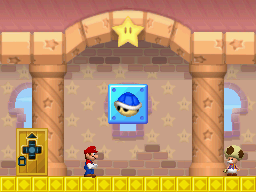 This entry was posted in Cartoons, Mario, Names, Super Mario Bros. Super Show, Television, Video Games and tagged blue toad, captain toad, captain toad treasure tracker, luigi, mushroom people, new super mario bros., new super mario bros. u, new super mario bros. wii, paper mario, princess peach toadstool, super mario 3d world, super mario bros. 2, super mario bros. 3, super mario galaxy, super mario rpg, toad, toad brigade, toad houses, toadette, toads, toadsworth, wario's woods, yellow toad. Bookmark the permalink.